You are currently browsing the tag archive for the ‘RVA gift guide’ tag. Holiday RVA gift idea #:1 Rusty’s Cream Puffs from Aziza’s on Main St. Too big to be stocking stuffers; they’re stomach stuffers instead! 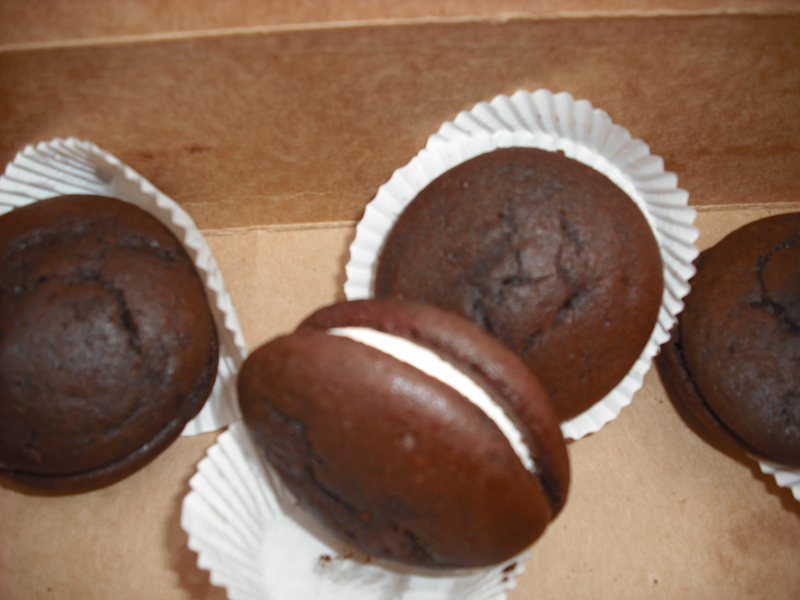 Holiday RVA Gift Guide #2 Dollop Desserts Nicole Lang’s treats will have recipients shouting whoopie! Holiday RVA Gift Guide #3 Chef Bundy +3 regional chefs do 5-course James Beard Foundation Dinner at Lemaire 1/14. SOLD OUT as of 12/12. Holiday RVA gift #4 Andy Bality James River/Huguenot Bridge print. 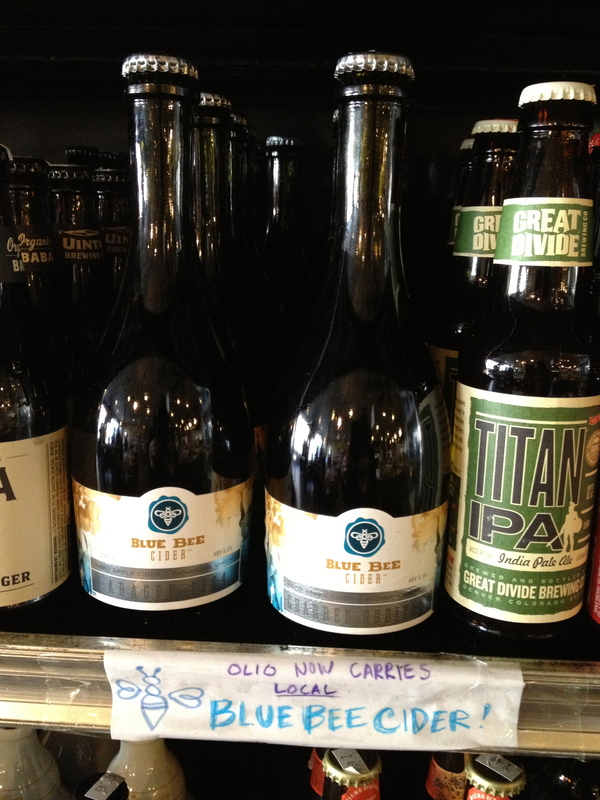 $20 at Riverside Outfitters and Once Upon A Vine/South in Stratford Hills wine/south. Holiday RVA Gift Guide #5 Real Richmond gift certificates. Food tour fun for all. Fairly obvious. Awfully easy. Doesn’t expire! 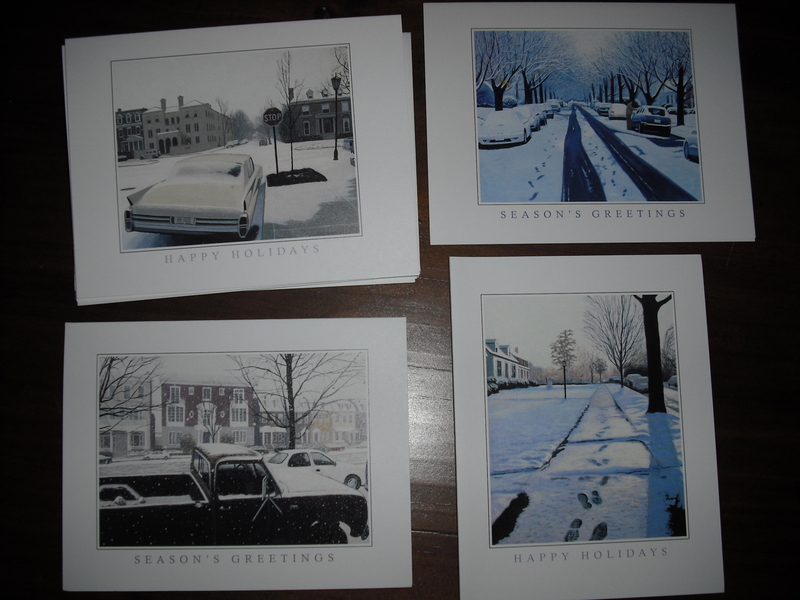 Holiday RVA Gift Guide #6 Steve Hedberg holiday cards of his gorgeous wintry paintings– available at TaZa in Westover Hills. Holiday RVA Gift Guide #7 Clean up your act! Not the sexiest present, but if you hate Lexus commercials, see my previous blog post. A recycling cart to love. Holiday RVA Gift Guide #8 Anything from Virginia St. Gallery in Shockoe Slip. Open 11-8 Thursday -Sat. Til 5 on Sun. Art, food etc. Great photos, small paintings, sweet and savory items. Holiday RVA Gift Guide #9 Any number of cool Richmond books and ephemera at Black Swan Books on W. Main. St. I can’t say what I bought! Holiday RVA Gift Guide #10 Handmade items, including Terrarium ornaments, at Bizarre Mkt upstairs at Chop Suey Books in Carytown. Holiday RVA Gift Guide #11 Ben Campbell’s new book, Richmond’s Unhealed History. Book-signing at Fountain Bookstore Dec. 21st. Holiday RVA Gift Guide #12 Lovely and local cards of Jackson Ward scenes and spots. Available at Box Brown, 518 N. 2nd St. in Jackson Ward, right near The Hippodrome.